UFUShare this Video Converter can help you to convert 4K UHD/HD/SD video to any popular video format, turn 2D video to fantastic 3D movie and download online videos from YouTube, Facebook, Twitter, Yahoo and more. * Convert any popular video/audio formats to 4K UHD and HD/SD video. 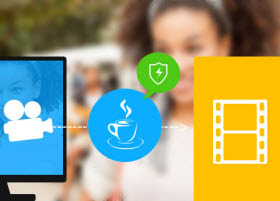 * Convert any videos to iPhone, iPad, Android tablets and smartphones. 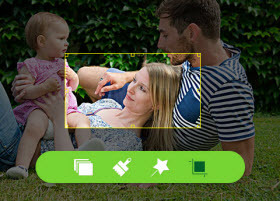 * Trim/crop/merge/split, add watermark/subtitle to video, adjust video effect. 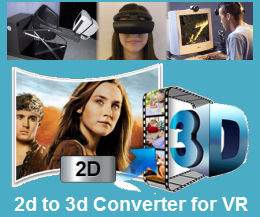 * Convert video to 3D formats in Anaglyph/Side by Side/Top and Bottom. * Convert 10X faster than other converters, AMD APP and NVIDIA CUDA GPU acceleration technologies available. * Works on Windows 10/8.1/8/7/Vista/Xp or macOS Sierra 10.12, Mac 10.11 Capitan, Yosemite, etc. The best Video Converter lets you convert videos among MP4, AVI, WMV, MKV, AVCHD, MTS, M2TS, TS, XAVC, XAVC S, WLMP, MXF, DAV, MOV, M4V, FLV, WebM, F4V, VOB, etc, even 4K UHD or HD videos at super fast speed with zero quality loss. Also it can convert audio including extracted audio from video to MP3, AAC, AC3 and so on. Besides, if you download many online videos from YouTube, you can also use it to convert YouTube movie to MP4, MP3, etc for enjoying on iPhone, iPad, iPod and Android devices. This Any Video Converter adds the function of converting 4K video with 100% original video quality. Any converted video can play extremely well on iPad Pro, iPad Air, iPad Mini, iPhone SE, iPhone 7/7 Plus, iPhone 6s/6s plus/6/6 plus/5s/5/4s, iPod, Apple TV, Galaxy S8/S7/S6/S5, Galaxy Note 7/6/5, Galaxy Tab, HTC One, Windows phone, PS4, more Android devices, and other multi-media players..
With the skilled Video Editor, anyone can easily create the personalized video. Select your preferred 3D mode for output video like Anaglyph 3D (10 types), Side By Side (Half-Width/Full) 3D, Top and Bottom (Half-Height/Full) 3D. Rotate video direction such as 90 clockwise, 90 counterclockwise, horizontal flip and vertical flip. Enhance video quality to improve the video effect. Adjust video effect like Brightness, Contrast, Saturation, and Hue. Cropping video frame and trimming video length are available. You can even merge multiple video clips into a new single file. Viewing the ultra-intuitive interface, even beginners have the ability to master all videos you are going to convert. Just one click Convert button, converting a video to multiple video formats in batch makes your digital life more convenient. With AMD APP and NVIDIA® CUDA™ technology, any conversion process accelerates 10X faster speed than ever. 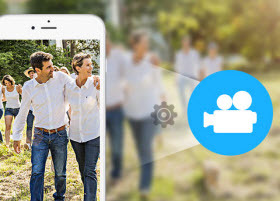 Extract audio from video: Extract audio from any video file and convert to MP3, AAC, ALAC, and more for playback on iPhone SE, iPhone 7/7 Plus, iPhone 6s/6s plus/6/6 plus/5s, iPad Pro/Air 4/3, iPod Touch..
Take snapshot for video: Capture your favorite video images when previewing the video, movie and then save them on your local disc as JPEG, PNG, and BMP format. Select audio track and subtitle: You are allowed to select the preferred audio track and subtitle if your video has more than one, or choose no subtitle according to your needs. Edit Video with multiple editing function: Before converting videos to 4K and HD videos, you can recreate your video with multiple editing functions, like crop, watermark, etc., to get a satisfactory effect. Video AVI, MP4, MPG, MPEG, NUT, H.264, H.265/HEVC NSV, VOB, MOV, DAT, FLV, MKV, MTS/M2TS/TS/TP/TRP(AVCHD, H.264, VC-1, MPEG-2 HD), MOD, TOD, DV, WMV, ASF, 3GP, 3G2, DRM MP4, RM, RMVB, WTV, OGV, MXF, VRO, TIVO, etc. Audio MP3, AAC, AC3, WAV, APE, FLAC, M4A, WMA, MKA, DTS, MP2, MPA, AU, OGG, AIFF, etc. Android Galaxy TabPRO, Galaxy NotePRO, Galaxy Tab 4, Google Nexus 4, Nexus 5, Nexus 7 2, Nexus 10, Samsung Galaxy S8/S8 edge, Galaxy S7/S7 edge, Galaxy S6, Galaxy S5, Galaxy S4, Galaxy S3, Galaxy Note 7, Galaxy Note 6, Galaxy Note 5, Galaxy Note 4, Galaxy Note 3, Galaxy Note, Amazon Kindle Fire, Kindle Fire HDX, Nook HD, Acer Iconia tablets, Acer tablets, Archos tablets, Asus Transformer tablets, MeMo Pad tablets, HTC One, HTC Desire 8, LG G Pro 2, LG G Flex, LG Optimus smartphones, Xperia Z2, Sony Xperia T/Z/L/V/SP/E/ZRP/Z Ultra/Z1, Lenovo smartphones, Motorola smartphones, Sony smartphones, Sony tablets, etc. Apple iPad Pro, iPhone 7/7 Plus, iPhone 6s/6s Plus, iPhone 6/6 Plus, iPhone 5S, iPhone 5C, iPhone 5, iPhone 4S, iPhone 4, iPad, New iPad, iPad Retina, iPad mini 4/3/2, iPad Air 4/3/2, Apple TV, iPod Touch, etc. Windows Windows 10/8 tablets, Microsoft Surface RT, Surface Pro, Windows Phone, Nokia Lumia Smartphones, Samsung Windows tablet, Lenovo ThinkPad tablet, Acer Iconia W tablet, Asus VivoTab tablet, Zune, etc. 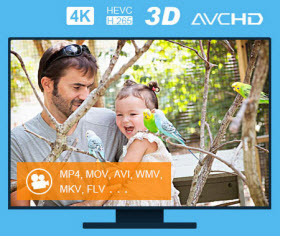 HDTV Samsung Smart TV, VIZIO HDTV, Sony Bravia HDTV, Panasonic HDTV, LG HDTV, Toshiba HDTV, JVC HDTV, Sharp HDTV, Philips HDTV, Seiki HDTV, Sanyo HDTV, Mitsubishi HDTV, TCL HDTV, Haier HDTV, Hitachi HDTV, Sansui HDTV, Westinghouse HDTV, Coby HDTV, etc. Others Sony Vegas, Adobe Premiere, Avid Media Composer, Windows Movie Maker, Sony Vegas Movie Studio/Pro, Adobe Premiere Express/Elements/Pro, After Effects, Encore, Pinnacle Studio, Nero Vision, Roxio Creator, Magix Movie Edit Pro, Ulead DVD MovieFactory, Cyberlink PowerDirector, PowerPoint, etc. PSP, PS3, PS4, Xbox One, Xbox 360, Wii, PowerPoint, and more. I often use this Video Converter to convert F4V to MP3, WAV, AAC, WMA, M4A, etc for playing F4V on MP3 player, Windows Media Player, etc.